Are you buying for a budding scientist this season? From biology to chemistry to astrophysics, there are as many interesting phenomena to study as there are kids who want to study them. These are a few of my favorite scientific books for kids. For the y oung scientists in your life, consider books from the Scientists in the Field series. Each book in this series takes an up-close look at a scientist in a different field. Great photographs and lots of facts make these great choices. 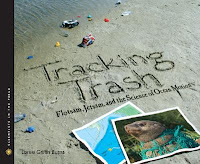 Personal favorites of mine are Tracking Trash: Flotsam, Jetsam, and the Science of Ocean Motion by Loree Griffin Burns, Gorilla Doctors: Saving Endangered Great Apes by Pamela S. Turner, and The Mysterious Universe: Supernovae, Dark Energy, and Black Holes by Ellen Jackson. 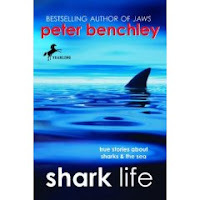 For the aspiring marine biologist on your list, pair Peter Benchley's Shark Life: True Stories About Sharks and the Sea with Michael Capuzzo's Close to Shore: The Terrifying Shark Attacks of 1916. Peter Benchley, author of mega-bestseller Jaws, writes about his true experiences diving with and studying sharks and other sea animals. Michael Capuzzo blends history with science in his book about a real rogue shark that terrorized beaches in New Jersey. Both are adapted from adult books and both are appropriate for tweens and middle schoolers. For younger marine biologists, consider Manfish: A Story of Jacques Cousteau by Jennifer Berne. It's a gorgeous biographical picture book. 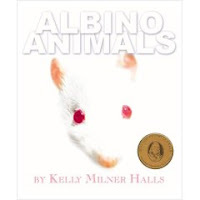 Young animal enthusiasts might love Albino Animals by Kelly Milner Halls. It's an interesting look at many different animals that have albinism. Or consider Animals at the EDGE: Saving the World's Rarest Creatures by Jonathan Baillie which takes a look at some extremely endangered animals. Future astronomers may enjoy The Planet Hunter: The Story Behind What Happened to Pluto by Elizabeth Rusch. Pair it with Peter Sis's gorgeous biography of Galileo, Starry Messenger. Those are both appropriate for upper elementary students. For the little ones, consider Bob Barner's Stars, Stars, Stars! for a colorful, rhyming book about stars and planets.